Trusts are a particularly useful legal instrument if you wish to protect your assets. 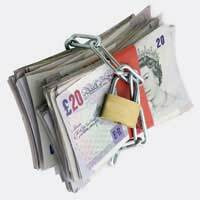 There is a range of reasons for doing this: you might want to establish a so-called ‘spendthrift’ trust to ensure that a beneficiary does not fritter away their money; you might want to protect your cash from the taxman; or you may wish to guard your assets from attack by creditors. But, while asset protection trusts are useful in these circumstances, by their nature they are also vulnerable to challenge. If you need to protect your assets, the chances are there is someone from whom you want to protect them – and this party may well take steps to have the trust struck down. We spoke to Simon, who set up an asset protection trust when his business fell into financial difficulty. They had invested a significant amount of their own capital into the project, and they stood to lose it all. The business eventually failed, and the individual was declared bankrupt. Simon's affairs were complex, and relatively large sums were involve, so the bankruptcy hearings continued for some time. During this period, the administrators found details of the offshore trust. “They decided to challenge the transfer during the bankruptcy proceedings. The courts decided that the transfer was a ‘fraudulent conveyance’, and it was set aside.” In short, the court determined that the transfer into trust was intended to defraud creditors. They then determined that the creditors could recover the money from the trustees. British courts take a notoriously dim view of asset protection trusts, particularly in cases such as these. If a judge decides that a trust has been established in order to avoid assets falling into the hands of creditors, it stands a good chance of being struck down. If you are having trouble paying creditors, you should try to negotiate with them directly. Alternatively, if you have another reason for establishing an asset protection trust, make sure that you seek reputable legal advice before taking any action. Does an Asset Protection Trust Suit My Needs? The United Kingdom of Great Britain and Northern Ireland has three separate criminal and civil jurisdictions: England and Wales; Scotland; Northern Ireland. Further, increasingly, slowly but surely, equity and law in Wales are going their own way as Wales forges ahead and away from England. England and Wales, and Northern Ireland are common law jurisdictions. Scotland is not. This means that when it comes to estate planning and trusts in the UK, it is vital to specify the jurisdiction. Vague talk about 'British law' or 'trusts in Britain' won't do. Re: How to Trace Whereabouts of Trust Funds? Re: What is a Bare Trust?